Two special horses in our stable. The super reliable and at times a little lazy chestnut ‘Mascherone’, and ‘Bumba’ our ‘Il trip over my feet one day, and suprise you the next instant with my quick gallop’ bay. 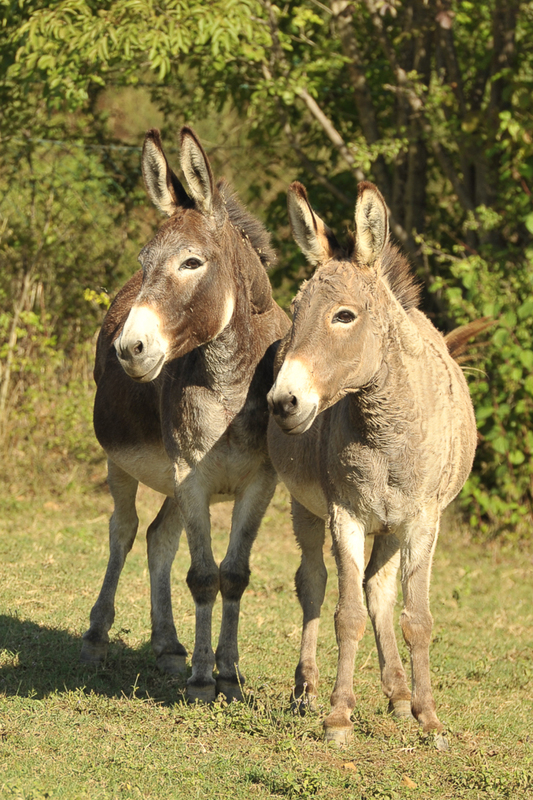 Both purebred Quarter Horses, Bumba was purchased locally, and Mascherone was bred and raised at CT Quarter horses. We use both horses for lessons and trail rides at CDT, and Mascherone is especially suitable for riders looking for confidence. He really looks after his rider, whether it be in the ring or outside in the open. 2018 Learn to REALLY ride western! So you think you get the whole western thing right? Dude ranches, gimicky bits, chaps and big spurs; you’ve seen those spaghetti western films, where guys gallop about with their feet pushed forward, and their hands held high – horses with mouths gaping. Who would ride that way you ask? Well thats not western riding. Thats not the way its done. The real aim for well trained western horse, is to have a soft, harmonious connection between rider and his mount. Much like classical dressage, the idea is not to see what the rider is doing, but to witness a fluidity when the horse and rider are working together. Seeming almost as if he is doing nothing, the western rider should achieve transitions (up and down), work the horse on two tracks, stop, turn and even spin with the artful grace of a dancer. And so it came about, through the many many lessons that Franco our trainer, and Marco his assistant gave to our riding clients this year, the idea to offer a special package for riders wanting to learn the technical aspects of western riding – and not just the basics neccesary to ride our horses on the trail. As it is, Castellare di Tonda Quarter horses has both horses chosen and trained for trail riding, and horses bred and then trained for finer, honed-in school work. So for 2018, we are proud to offer a 50% training with 50% trail holiday. Mornings are spent in the arena, working with our trainers and riding our Quarter horses. The afternoons are spent outside, enjoying the spectacular landscapes, and fantastic riding trails that Tuscany has to offer. This week long trip is on offer from April to the end of October 2018. We reccommend booking in advance, as lessons have a max of two people per hour. Package price per person based on twin share option with one or two bedroom apartment, 2 x apartment cleans, 1/2 bottle of wine each evening, Buffet breakfast and full course dinner, daily tourist tax, 5 lessons and 5 x guided two hour trail rides. 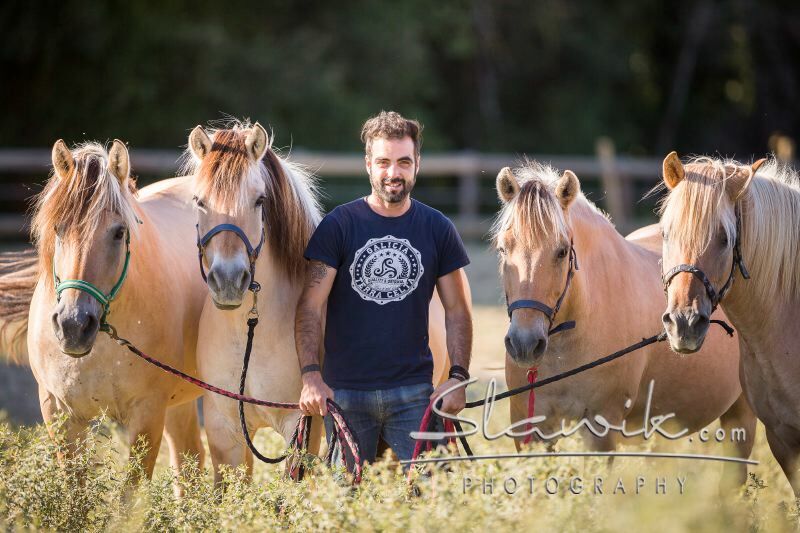 Castellare di Tonda is adding a whole new team of trail horses to the stable for the 2017 season. The first four arrived at the start of the month from Sicily. Good strong mares, well suited to the hilly terrain here at CDT. They range in age from 5 to 7 years, and we will be working them over the winter to get them prepared for the next season which starts in April. 2016 season comes to an end. Some great pics of one of our October weeks riding last month. This year we have had some truly international clients. American, Brazillian, English, Norwegian, Finnish and German just to mention a few. The horses are now on their 5 month winter rest in preperation for next season. Fornace is the most often booked accommodation for our riding guests. It is located next to the reception and the restaurant, and is only a short walk from the stables. 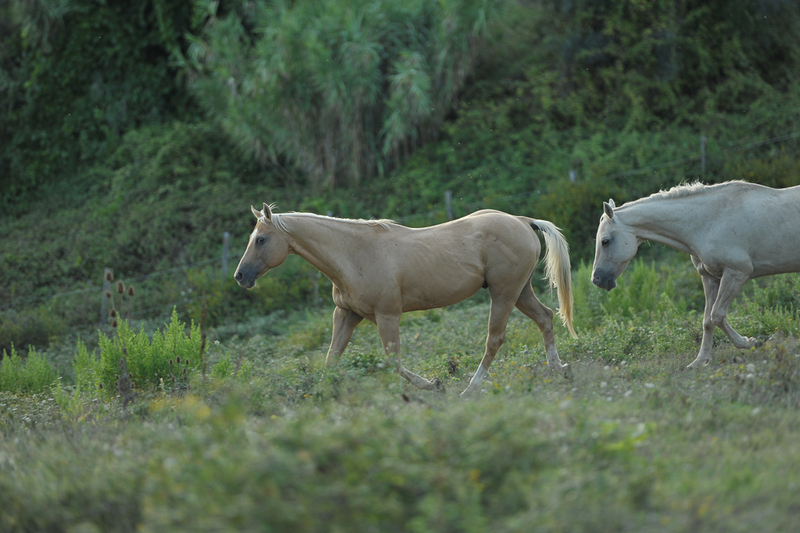 Horses graze right underneath the house during the spring and summer – so it really is a horse paradise. There is a swimming pool divded between 11 apartments. These apartments are our ‘superior’ standard, and have both airconditioning and more modern decor. We have one and two bedroom apartments at Fornace. Most have one bathroom, but we do have one apartment with two bedrooms and two bathrooms. Ask for more information on prices and special offers! Reining is a fully recognized sport by the FEI (Federation Equestre International). Whilst Dressage was developed from activities performed by the war horses in the Middle Ages, Reining comes from the athletic movements that made the early American settlers ranch horses such invaluable assets. The ability to move quickly, change direction and willingly guide on a loose rein, are the trademarks of the modern Reining horse and from which the discipline takes its name. Worldwide, reining is the fastest growing horse sport today. In countries such as Italy and Germany reining is one of the major horse sports. Probably due to its exciting, fast-paced action and its accessibility for any breed of horse, coupled with its enriching programs for riders of all experience levels, the discipline of reining has enjoyed one of the fastest rates of growth, experiencing a 40% increase in worldwide participation in the last 10 years. Reining is exciting and entertaining. It consists of specific maneuvers which can be found in traditional ranch work. The horse has to run a subscribed pattern which consists of 7 or 8 maneuvers. There are a total of 10 approved official reining patterns, and horses exhibit individually-performing, compulsory movements which include small slow circles, large fast circles, flying changes of lead, roll-backs, quick 360-degree spins, and the ever-exciting sliding stops which have become the hallmark of the reining horse. Reining gets it’s name by the way the horses are ridden. The rider steers his horse by slightly picking up the reins and laying the rein upon the neck of the horse. The horse goes in the opposite direction of where he feels the pressure. As soon as the horse responds, the rider gives more rein and lets the horse figure it out on his own again. Castellare di Tonda trains and breeds Quarter horses for western sports, including Reining. Come try this exciting western sport when you next holiday with us! October marks the end of our riding season. On the 1st of November, the last clients for 2015 will leave the resort, and our team of wonderful trail horses will be turned out for a well deserved rest over the winter months. Most of our trail horses will be turned out in our hilly 25 hectare circa paddock, where they can run, roll and enjoy a few months of almost wild-horse life. We manage the herd very simply. The horses are unrugged, but have a large shelter. They have hay 24/7 and automatic water troughs. Daily we check that everyones ok – but they are unridden, and basically unhandled for at least two months. A horse in the wild will travel ten to fifteen miles a day, foraging, looking for water, keeping ahead of predators. This is how they were genetically designed to live. After a busy season, turning out our horses as part of a herd keeps their emotional stress down. Our trail horses become more familiar with strange sights and sounds having spent time outside all winter, they are more balanced when negotiating uneven ground having encountered hills, slopes, and other natural terrain in the field, and thus require less work getting fit than the boxed horses at the start of the season.